Mobile Pre-purchase Vehicle Inspections Gosford 2250. Mobile Pre-purchase Vehicle Inspections Gosford. Car Boat Caravan Motorhome Pre-purchase Inspection NSW. Car finder Service, Car Broker with pre-purchase inspection. 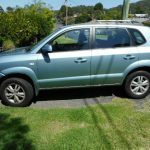 2007 Hyundai Tucson, 160k’s, manual.